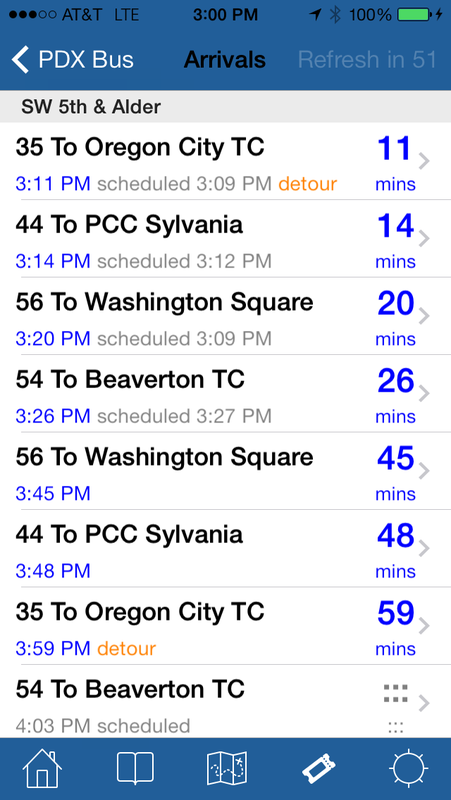 PDX Bus - a free Open Source iPhone app for Portland bus and train times: Version 6.6 release - Apple working on a Sunday? Version 6.6 release - Apple working on a Sunday? 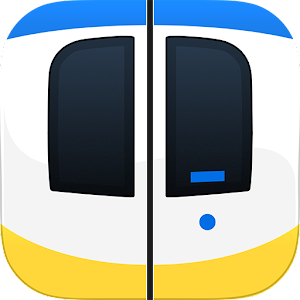 Fixed stop ID 13604 - added NS Line arrivals. Optimized rail maps to use "tiles" - reducing crashes due to memory issues. Added additional informational hotspots to streetcar map. 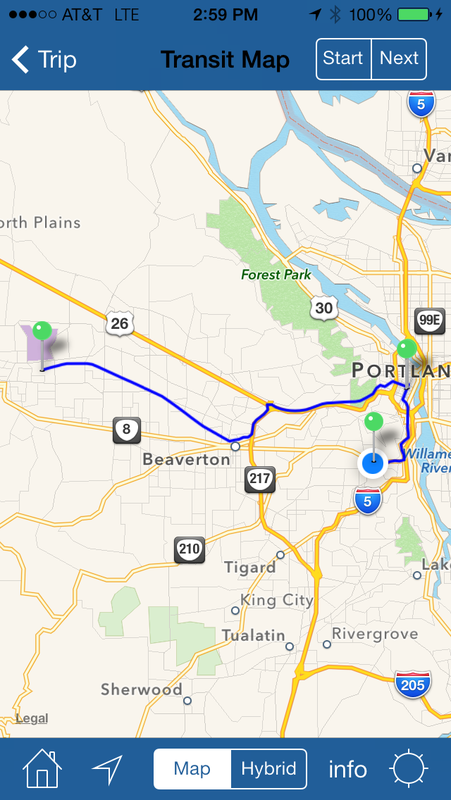 Trip planner min walk distances now match web site (1/10, 1/4, 1/2, 3/4, 1 & 2 miles). Commuter bookmarks fixed (startup sequence is different in iOS6). I don't plan on having another update for a little while now, I want to let this one settle in while I think about how to improve the user interface (it's a big job! ).